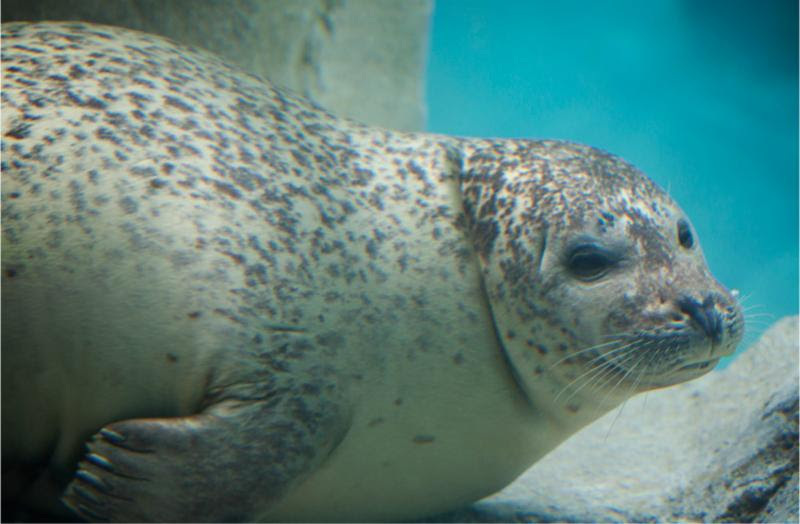 (Salt Lake City, UT) ­ -- 13 year-old harbor seal Nika to undergo cataract surgery. Thursday, Dec. 1, 9am, at L.S. Skaggs Animal Health Center at Utah's Hogle Zoo, veterinary specialists will remove cataracts from both eyes. Zoo veterinary staff, along with local board certified veterinary ophthalmologists will assist in the procedure with a board certified veterinary ophthalmologist and veterinary anesthesiologist from Florida, who will conduct the surgery. Media will be allowed to get footage of the procedure from the viewing window in the hospital and may also be escorted into the operating room for individual shots. Hogle Zoo's Director of Animal Health, Dr. Nancy Carpenter, will be available for interviews during the procedure. The eye specialists will be available for interviews following the procedure. Nika's keepers noted impaired vision began impacting their training sessions with her. During regular training sessions, keepers noticed small cataracts initially in Nika's left eye with progression to her right eye soon after. The Rocky Shores keeper staff began training Nika to rest her chin in a mock chin rest to prepare her for upcoming eye exams as well as eye treatments, including receiving eye drops voluntarily. Staff have also modified their training with Nika, using more verbal cues rather than sight cues, to accommodate her decreased vision. Nika has been on a strict regimen of eye drops this week in preparation for her surgery. Following her surgery, she'll be kept out of the water to allow her corneas time to heal properly. During the recovery period, she will not be on display to the public.